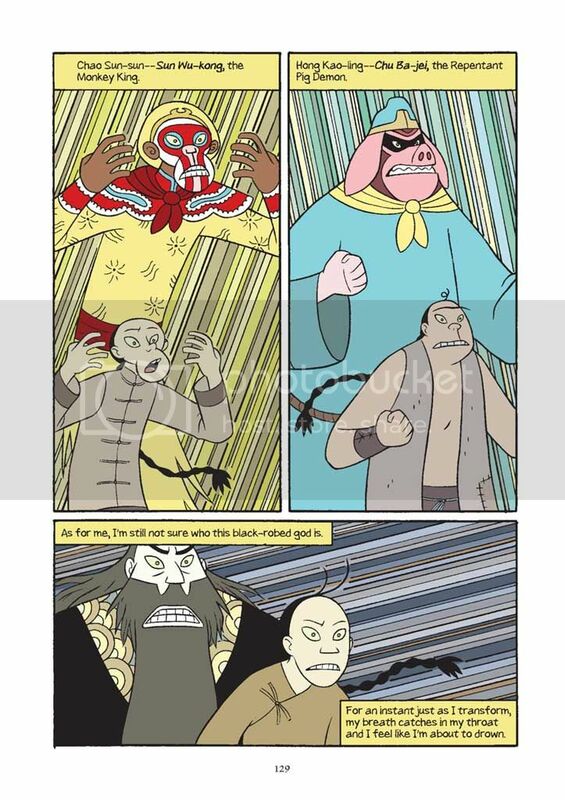 Gene Luen Yang's Boxers and Saints is set against the Boxers Rebellion in 1890s China. In Boxers, Little Bao is so enamored by the kung fu strategies shown by a visitor that he secretly trains under him and becomes highly skilled. Around the same time, the winds bring plenty of news about how the foreign Christians in China are mercilessly killing several Chinese people. When things reach almost tragic proportions in his own village, he harnesses the power of a ritual to take on some heavenly power to crush the enemy. There begins the Boxer rebellion. After training several people, they head to the capital to slaughter the 'foreign devils'. Saints provides the other side of the picture. Four-girl, named thus because she was the unwanted fourth daughter born to her mother and never given a proper name, feels oppressed by her family. Eventually, she discovers Christianity and how much it has to offer her. Running away from her apathetic family, she relaxes in the safety and sense of belonging that Christianity provides her. Little Bao and Four-girl cross paths twice - during the first time, Little Bao is convinced he will marry her. The second meeting, however, is marred by tragedy. I have to step up here and give a shout-out along with several others who reviewed this book and say that this is an amazing work of graphic fiction. There are so many layers to each book and some very similar elements. Boxers and Saints can be read individually, but I think it's important to read them together because they sort of act as an accompaniment to each other. They provide the yin and the yang to a historical event that is complex and with no clear notion of who was right and who was wrong. What makes these two books remarkable is how one-sided each is. Boxers will make you sympathetic with the Boxer rebellion cause while Saints will put you on the opposite fence. That is why reading both the books together is important. The Boxer rebellion was an anti-foreign, pro-nationalist movement that was born out of poor daily living conditions that may villagers had to endure. These people believed they were invincible and cannot be harmed by weapons. Yang takes this concept a step further when he portrays the Boxers, including Little Bao, as actually taking the persona of the gods who helped them in the fights. (I knew nothing about the Boxer rebellion before reading this book. The husband, who is usually my history Wiki, gave me a good background on the event and also about the Opium Wars that China went through.) The sketches where the characters transform into the gods give a very fantastical air to the book, and while that's true for this book, Yang really is trying to emphasize that the original villagers actually believed they were gods too when they went to fight. People like Little Bao have seen too much oppression and hunger to want to sit at home, twiddling their thumbs. The occasional exposure they have to some Christians have all been negative in some way, fueling their anger at the foreigners. But on the other side, we have people like Four-girl, or Vibiana, as she later chose to name herself. If there were no Christians on Chinese soil, Vibiana may have forever lived, harassed and tortured, under her mother's roof. To her, there can be no better thing, but will she pay for it? There are plenty of tortured scenes and upsetting choices made by the characters in the two books. Bao and Vibiana both share similarities. They both are motivated by someone from the past that they hold in high esteem - Bao by a long-dead Chinese king and Vibiana by Joan of Arc. They both are motivated by their unsatisfactory lifestyles. However, what one finds poisonous, the other takes as medicine. This is what makes Boxers and Saints really work - Yang manages to draw sympathies to each character without having to jeopardize the plot. He shows how there is right and wrong on both sides of the fences, just as it is with most wars, and it is never possible to look at this event and pinpoint who was to blame. While Boxers is more vivid, colorful, and passionate, Saints is more subtle, neutral and personal. 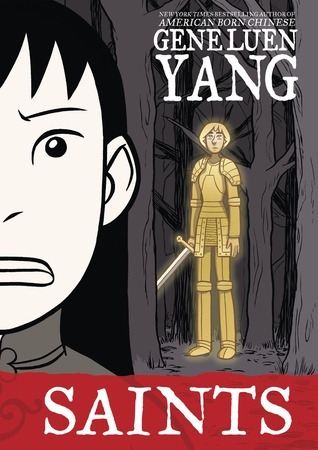 I am not new to Gene Luen Yang's work. 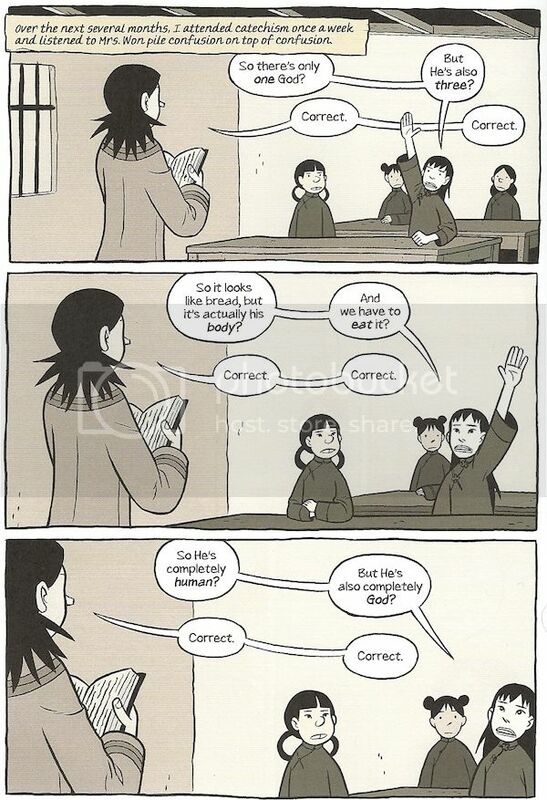 I had previously read and loved his American Born Chinese, which also features a lot of magical realism. Generally, fantasy doesn't fascinate me much but Yang's illustrations never alienate you. There is plenty of depth and complexity to his pictures that they end up leaving you very thoughtful and engrossed. I borrowed these books from the good old library. I'm starting a graphic novel binge and these are going to the top of my list! I want to read these so badly! I may just put them on hold at the library, but I want them to come in at the same time so I can read them together! Mmmm, magical realism? I'm not a big fan as a general rule. On the other hand, everyone seems to think this one is terrific so I may just have to give it a try. By the way, I've put Maus in my shopping bag on Barnes & Noble's website - just haven't been able to convince myself to spend money on books right now.